Changed title from "Is Blackater Coming Back?" 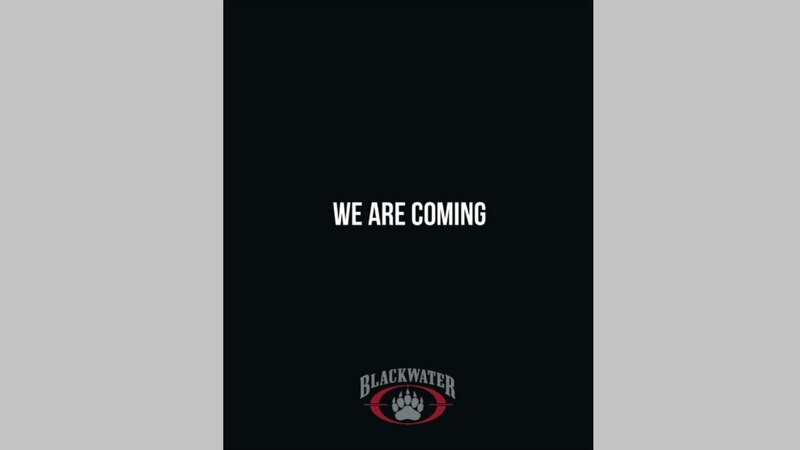 to "Is Blackwater Coming Back?" "This article has been edited to clarify that Constellis no longer trains forces at Camp Integrity and that Blackwater, if it returns, would not have a connection to Constellis. Mattis' resignation comes amid news that President Donald Trump has directed the drawdown of 2,000 U.S. forces in Syria, and 7,000 U.S. forces from Afghanistan, a U.S. official confirmed to Military Times, a story first reported by the Wall Street Journal…." I saw that ad in a magazine as well. Looks like they are expecting an uptick in work. The use of PMC's in low-intensity conflicts is fine. The POTUS is trying to shift the military towards fighting high-tech near-peer conflicts without ballooning our deficit, rather than wasting it away in costly insurgency wars that drag on forever fighting enemies that will be down for the count but never go away completely. It's time for a paradigm shift in the Pentagon and Congress, liberals and neocons alike. Let's give the president with no respect a little credit. Fanatik- If you think he is thinking that deeply on defense issues, you are not thinking. He does not read. Even his own briefings. Read Black Powder Red Earth! Ans, Pan Marek, you know this how? Source, please. While it's true that various media outlets have reported that Trump is prone to skip national security briefings and dozes off in meetings, he's hardly the first president known to have done so. Ronald Reagan did the same back in the day. Reagan was easily bored with details and preferred the simple version and the "big picture" in his decision-making. And if Trump has already decided on a policy or direction he's going to take, why let other people endlessly waste his time trying to change his mind? For instance, he already decided early this year to pull out of Syria but allowed Mattis and others to sway him and delay the withdrawal. Unless he puts his foot down at some point over the protests and threats of resignation from his advisors, they will keep making him do what he and his constituents don't want to do. I'm afraid I can't argue with Fanatik's logic. President Trump has been and will be stepping on a lot of entrenched toes in Washington. I'd like to send him a pair of very heavy boots.